The Biomat Professional is a well-loved addition to professional medical and wellness environments around the world. When the Biomat technology of far infrared and negative ion therapy are used in combination with the healing arts expressed between professionals and their clients an unparalleled opportunity for healing occurs. The energetic healing practices humans have always relied on are now available on command, indoors, and on the treatment table. The healing of the future is incomplete without attention to the energetic needs of each client. The Biomat Professional is an investment in an FDA Registered, and ISO Certified, medical device. The Biomat Professional is a perfect addition to many types of medical and wellness treatment. Far infrared benefits clients seeking treatments for a range of services from competitive sports training therapy to massage for relaxation. The Biomat Professional provides warm far infrared healing energy source anywhere there is an electrical outlet. It is small enough to fit atop treatment and massage tables. It is regularly used in combination with Biomat Mini and the Biomat Pillow in medical and therapeutic environments. 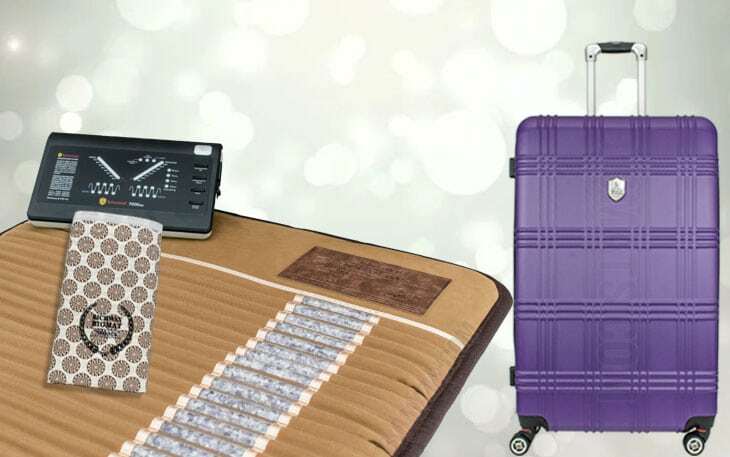 The Biomat Mini allows health and wellness providers to provide far infrared heat from both below and above to completely wrap an area of the body in the benefits of far infrared energy. The Biomat Pillow allows for a cooler and more gentle far infrared experience for the patients head and neck. Far infrared energy is invisible light which is experienced as deep penetrating warmth. Far infrared energy penetrates bodily tissues and stimulates circulation of body fluids. Stimulation of body fluids improves the function of the body's natural healing mechanisms and assists medical and wellness treatment providers with providing the greatest possible level of healing services. Far infrared has been used for healing and protecting the human body since our beginnings. Long before the current scientific evidence emerged about the benefits of far infrared energy people used it in the form of sunlight or hot stone therapy to preserve their health and heal minor injuries and illness. Biomat Professional brings centuries of healing knowledge into the modern healers' treatment rooms. Biomat Professional comes with a hard-shell travel case and a Biomat Cotton Pad. The 100% cotton pad is designed by the makers of Biomat to improve the experience and effectiveness of Biomat by reducing the experience of heat on skin contact without reducing the benefits of far infrared or negative ion generation. The Biomat should always be used with one of its 100% cotton pads. Many medical and wellness service providers consider an Extra Biomat Cotton Pad to be an important part of their healing practice. Please also consider whether our Waterproof Cover would be needed to protect your Biomat investment from things like perspiration and massage oils.